Those eager to get their hands on AMD's latest GPU architecture don't have long to wait. Reviews have just gone live from outlets who were sampled, and the cards themselves are scheduled to be at stores in the UK from tomorrow (Tuesday 15th August). Quite rightly the Red Team want to ensure that the transition to Radeon RX Vega is a seamless as possible, and so in line with their Day 0 driver release schedule for major new videogame titles they've now launched a Day 0 update specifically for Vega. Full release notes, such as they are, can be found below. The new drivers can be downloaded here, with separate packages for Windows 7 and 10. Only 64-bit versions of these operating systems are supported, and this driver update is unnecessary for those not running a RX Vega GPU. &#8203;&#8203;Radeon Software Crimson ReLive Edition is AMD's advanced graphics software for enabling high-performance gaming and engaging VR experiences. Create, capture, and share your remarkable moments. Effortlessly boost performance and efficiency. Experience Radeon Software with industry-leading user satisfaction, rigorously-tested stability, comprehensive certification, and more. 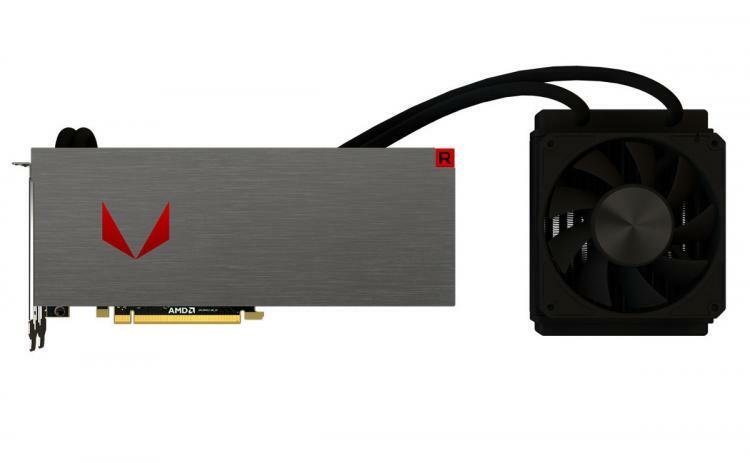 - Radeon RX Vega series graphics products. - Radeon WattMan may not reach applied overclock states. - 3DMark®Firestrike may experience an application hang during GT2 test. - The "Reset" option in Radeon Settings Gaming tab may enable the "HBCC Memory Segment" feature instead of setting it to the default disabled state. - A limited number of HDR enabled TV's may experience intermittent HDMI signal loss. -- Windows Media Player may experience an application hang during video playback if Radeon ReLive is actively recording desktop.